This dragon fly is a work of ar. It is made of pewter and I embellished it with light blue crystals. The pendant including the bail, is 2.5" x 2.25. The chain is stainless steel and will never tarnish. It is a lovely piece and will be sure to attract compliments when you wear it. In almost every part of the world, the Dragonfly symbolizes change, transformation, adaptability, and self-realization. The change that is often referred to has its source in mental and emotional maturity and understanding the deeper meaning of life. The Dragonfly’s scurrying flight across water represents an act of going beyond what’s on the surface and looking into the deeper implications and aspects of life. The Dragonfly moves with elegance and grace. The Dragonfly is iridescent both on its wings and body. Iridescence shows itself in different colors depending on the angle and how the light falls on it. The magical property of iridescence is also associated with the discovery of one’s own abilities by unmasking the real self and removing the doubts one casts on his/her own sense of identity. The Dragonfly normally lives most of its life as a nymph or an immature. It flies only for a fraction of its life. This symbolizes and exemplifies the virtue of living in the moment and living life to the fullest. By living in the moment you are aware of who you are, where you are, what you are doing, what you want, what you don’t, and to make informed choices on a moment-to-moment basis. The eyes of the Dragonfly symbolize the uninhibited vision of the mind and the ability to see beyond the limitations of the human self. 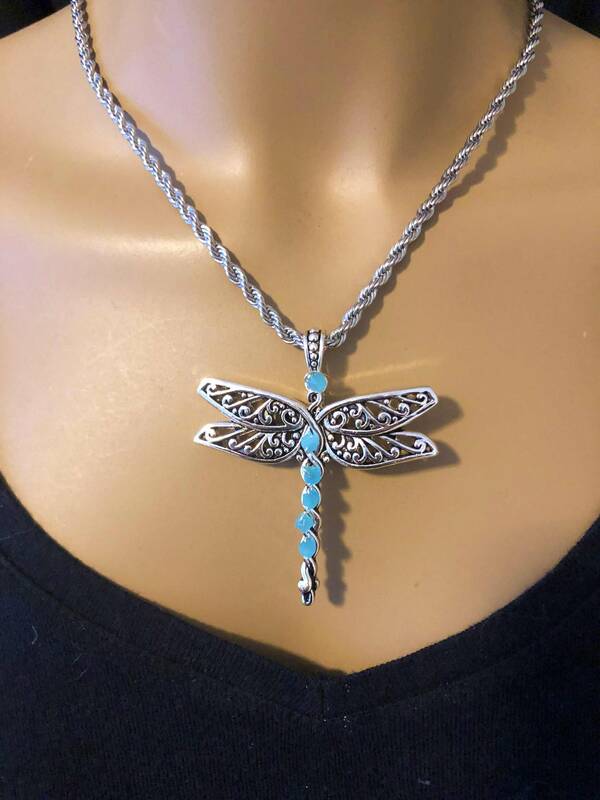 Dragonfly’s can be a symbol of self that comes with maturity. They can symbolize going past self-created illusions that limit our growth and ability to change. 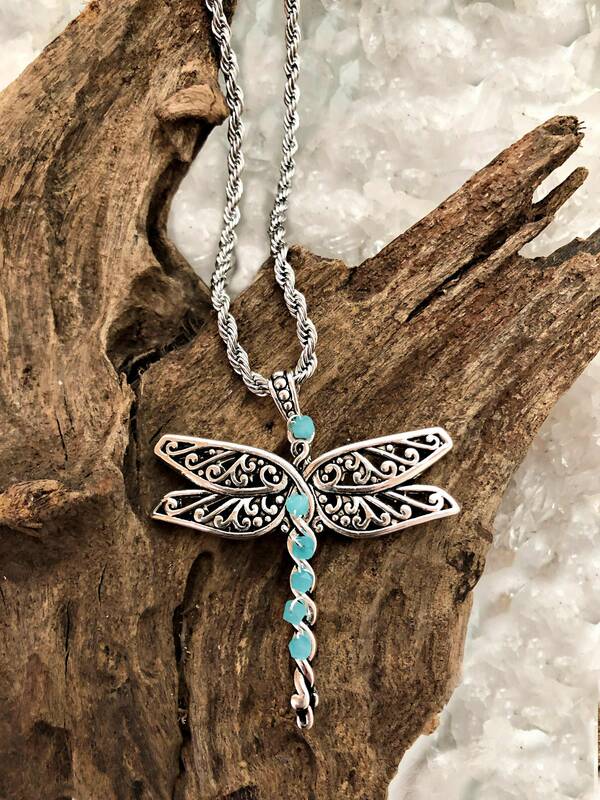 The Dragonfly has been a symbol of happiness, new beginnings and change for many centuries. 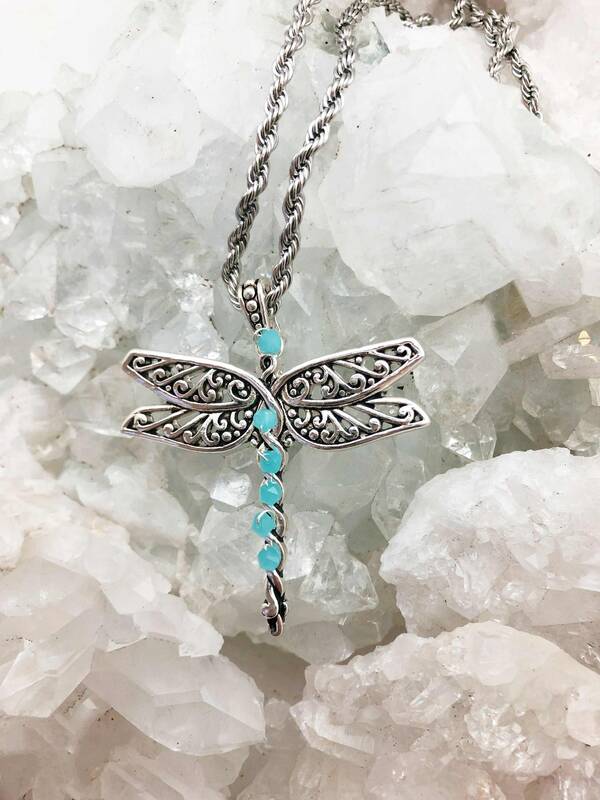 The Dragonfly means hope, change, and love.